Im thinking about D3300, I found out that in some shops price of D3300 has drop down, last week. Is there any rumors about D3400 or D3500? If we follow the introduction dates of the D3300 and its predecessors, then we can see that its replacement is 6 months overdue already, but as I feel that Nikon is moving all its DSLR lines to 4k video, the D3x000 line might be the last to get a replacement, since the first one to market will be the D5 which is expected next month. At this point, unless a new DX sensor is released, I suspect there will not be an update, worth waiting for, in the near future. The price drop is likely part of Holiday sales, rather than an indication that a new model is coming. This is a good summary of the current 2016 thinking. If there is a new D3x00 released this year it could be at CES in a few weeks, or in June just before high school grads / summer vacation start (a typical release time for the entry level models). If it comes in mid January at CES it's worth waiting to see what happens, you might be able to snag a D3300 at a slightly discounted end of life price. Be prepared for a price hike ($50-150) over the current models and it is very unlikely that there will be a new image sensor. There will probably be some minor tweaks, like more scene modes. It is unlikely that there will be any meaningful changes, other than a newer CPU. Then again it could be a major change, since there have been rumors in the past that Nikon will replace the entry level D3x00 line with a mirrorless camera, but that's a toss up. D3300 discount is what Im looking for :-) I found out D3300 as the best value of money (especially in image quality), so what do you think... can 1" sensor of new upcoming mirrorless camera beat D3300? No, not in pure IQ. The laws of physics are stacked against smaller sensors. You get into 1" (which is already mirrorless) for size/weight trade off not because the picture is "better". The Nikon 1 series is more expensive than entry level DSLR. I think that's the D500. Grrrr, after new kit lens an. I was very excited. So next chance in June? @tomanatura, what do you currently shoot with? Still no word about d3400... CES, CP+... What show is next? If a heavily discounted D3300 is what you're after, I can't see a better time than now to buy, it's currently $309 refurbished with the 18-55 VR II or $369 with the additional (and I should add really amazingly sharp) 55-200 VR II. Why wait more? You've already missed 3 months of great pictures since your OP and prices haven't changed since. Are the missed photo opportunities you have already lost worth the chum change you'll be saving by keep on waiting for that D3300 closeout? You are right... I did my order on friday, with new af-p. I was waiting, because d3300 is 2 years old...so its good idea NOW to wait and buy new one - specially if Im planing to sell it in future. But when I read that new DL compacts will be available in summer (and were announced now) and there is no word about d3400/d3500. I decided to buy d3300. I am buying a D7200 body (another!) and a D3300 with the 18-55 kit lens from B&H about April 5th. My decision is the kit lens is only a couple of hundred bucks more with the D3300 body. I already have the D3200.....etc.....We are also buying a D500 so,this to us in the farming business and construction is business investment. A D3400 whe it comes out will be a higher price tag than these current numbers.....by the way I see the $480 approx. price with kit lens 18-55 VR II it I agree with tomanatura as pretty old and should have been replaced by an updated D3400 already......but this got stalled with all the other things going on! I do question a D3300 compared to say a D7100......Which will far outperform a D 3300!!! I assume this is a price versus quality situation? I myself want as small a camera as possible.....but the D3200 and D3300 sacrifice a lot in video quality. Also sacrifice a lot in terms of focus points compared to bigger and more useable focus grids......This means strategically I believe a Older NEW D7100 (still available) will beat a D3400??? I owned way too many medium and larger formats with such add on eye sights.....give me an DSLR thank you!!! Nikon is far overdue for a D3400 but whe it emerges....the price tag will give us pause! DaveyJ, I think you'll be gladly impressed with the D3300's video IQ capabilities: it is light years ahead of the D3200, and at 1080p60 it even beats the D7200, which crops at 1080i60 and outputs a softer image, just like the D7100 did. You'll also find it more responsive and that it meters more consistently than the D3200, while being lighter and, with the new, sharper VR II kit lens, smaller overall. The larger viewfinder compared to the D3200 is also a welcome addition. You will find it clicks a little rougher and louder, though. I've been after a good deal on a refurb D5300 but that seems to never ever going to happen, meanwhile the refurb D3300 just keeps on dropping in price and is currently costing basically half what they charge for the D5300, and I really don't feel like the D5300's improvements are worth paying twice as much as the D3300. 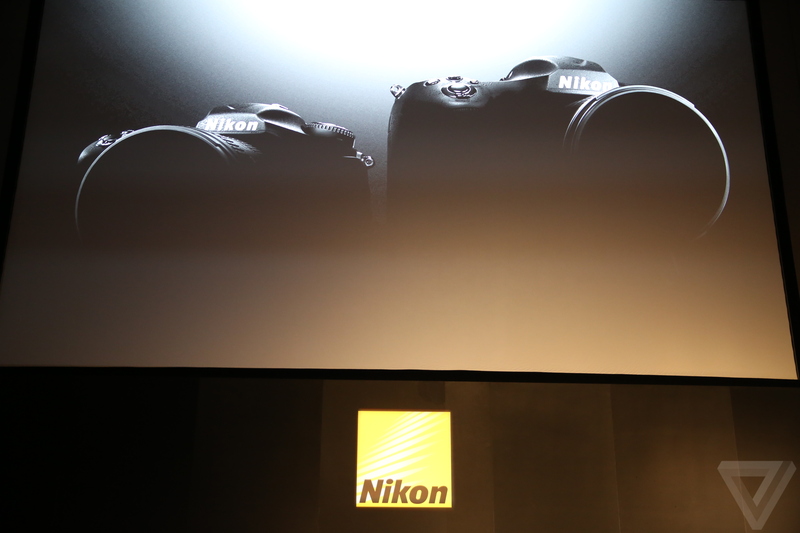 I think Nikon is going 4K on all of its DSLR lineup, if so then the D3300 will be the last body to get an update. Unless they feel the heat from Canon's T6 and probable SL2, then the next D3300 replacement will only get WiFi/NFC, a touch screen and a smaller body as updates, and for that you'll have to pay at least 50% more over the current D3300's retail price. I'll rather spend that money on a nice 24mm DX prime lens if Nikon ever decides to produce it. Well... after some time with D3300, I have to say, I would not buy it again. 1) AF seems to be often not accurate (it is not only my opinion)! 2) Nikon camera control doesnt support D3X00. 3) Wifi absence is not as unimportant as I thought it will be. D5300 is worth to buy. tomanatura, I've just received my 3rd refurbished D3300 and I haven't had AF accuracy issues with any of them (knock on wood). I usually shoot single point, AF-A but I've decided to try AF-C from now on. In Auto-area AF you basically don't have control over which AF point the camera selects, but that is also true for a D5200 or a D7100, both of which I have also previously owned. The user manual generalizes about which shooting situations fit which AF mode, and you'll think that setting everything in Auto should be good enough for most of your shots, but there can only be so much intelligence fitted into such a little dinky device, and given the shallow depth of field of an APS-C sensor/lens combo, acquiring sharp focus is much more difficult and crucial than with a tiny sensor P&S or smart phone with ample depth of field. Try using single point, AF-S and manually select the AF point that is trained over your main subject. Reading and learning about proper AF technique is very important to get the best image out of your camera, no matter what gear you are using. I should mention that I have used a D3300 for months......to say it is light years ahead of the D3200 is not that accurate from my experience. As an example I think the D7100 is a much better camera than the D3300......and the smaller size of the D3300 I think of as an advantage....but the D3300 has quiet a few shortfalls for an expert to use. All that said......the D3300 is a great little camera. Just fact though......it is NOT up to D7100 qualityAnd to write the D3300 is in any way superior to a D7200??? I don't know where that assessment comes from! The D7200 is newer and far superior to the D3300!!! DaveyJ, I basically shoot all my family videos with the D3300 at 1080p60 unless it's extremely dark, in which case I shoot at 1080p30 to recover a full EV by using a shutter speed of 1/30th of a second, in this regard the D3300 is light years ahead of the D3200 which can't even do 1080p60 while its 1080p30 output is very noisy from dusk to dawn and even in hard shadows under full sunshine. I also disliked the D3200's propensity to expose the same scene differently (for example in a string of continuous still shots), its cold AWB bias and the general feeling of sluggishness it gave me, but I did like how quiet and smooth its shutter and mirror actions were. The D7100's video quality is also not quite as good as the D3300's as it shows moiré in certain situations and its 1080i60 is as soft as 720 and cropped to booth (which is also the case with the D7200), although low light footage is marginally less noisy than the D3300's. Anyways, I've left both the D3200 and the D7100 in the past and have moved on to better things with the excellent for my needs D3300, hope you enjoy yours as much as I do mine.